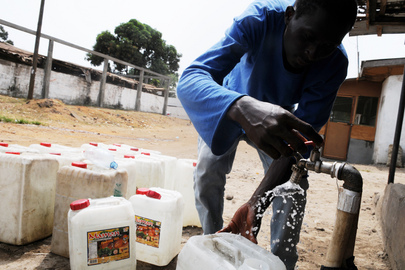 A man collects water from a tap in Liberia. Every year on 22 March, World Water Day brings attention to the importance of water resources and sustainable management. In Liberia, the United Nations Mission in Liberia (UNMIL) has supported the rehabilitation and ongoing maintenance of the country’s water infrastructure.